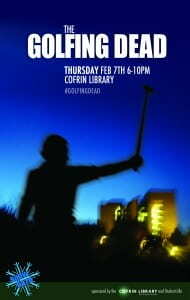 Parties of four will putt their way around a zombified mini golf course created by an array of UWGB offices and departments. Grab three friends and prepare to swing or come alone and we’ll add you to a foursome. Zombie attire is welcome. 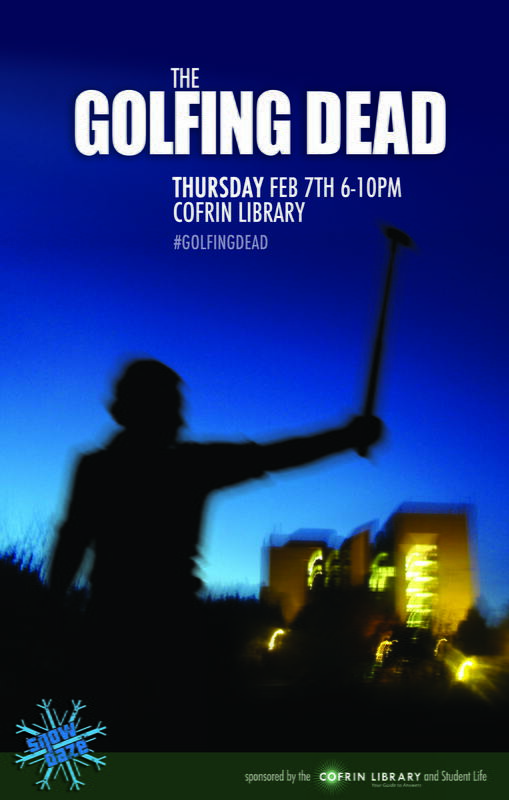 The Golfing Dead is a Snow Daze event sponsored by The Cofrin Library and The Office of Student Life.